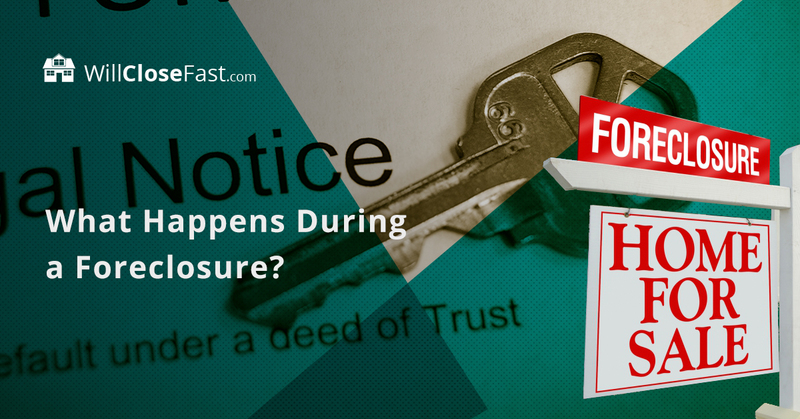 Going into a foreclosure on your home can feel overwhelming. If you are in foreclosure or think you might be soon, you need to start taking steps immediately in order to create the best possible outcome. Want A Free Cash Estimate? Click Here. You have a few options here. There is almost always some way out of a foreclosure. Not all of them are great, and it may come down to choosing the least-bad of the options for your personal circumstance. The best thing to do is, obviously, pay off all of your overdue amounts – though, this is almost never an option for people who are behind on payments, or else this most likely would have been done already. Next, talk to your lender about options. It doesn’t hurt to ask if you can adjust your monthly payments until you are more financially stable. Most lenders don’t like to ruin your credit score, but you have to be willing to work with them. If none of the above work, you can sell your home for cash. This is especially good if your home is worth more than your remaining mortgage. Let’s say you only owe $50,000 on your home but it sells in a foreclosure sale for $150,000. You might get some of the $100,000 difference back, but that will be after multiple court fees, penalty fees, processing fees… the list goes on. Selling your home for cash can help you retain more of the equity, and using a cash-for-houses company like Will Close Fast can help move the process along in as little as a week. After you default on your payment, your mortgage lender should send you a written notice that your payment is late. After that, you will have a determined amount of time to pay all of the amounts due, including your missed mortgage payment, late fees, interest, among others. If you cannot pay off the amount due in the time frame negotiated, then the lender will notify you that the house is going up for a foreclosure sale, where it can be sold at a public auction or be sold privately. After the sale, if you are still living on the property you will receive an eviction notice and must leave the property to avoid further legal complications. After three months of missing payments, the likelihood that a homeowner will be able to pay off the amount drops significantly, which is usually when the foreclosure process starts. So then your house is sold, your credit takes a hit, and you start over, right? Unfortunately, if that weren’t bad enough, the process doesn’t stop once you leave the property. Some states, Missouri included, allow for “deficiency judgments.” Let’s make an example. Say John took out a $200,000 to purchase a home for his family. A couple years later, John loses his job and falls on hard times, but he still owes $175,000. The home goes up for a foreclosure sale, and the highest bidder will only pay $150,000. The mortgage lender could then sue John for the remaining $25,000 if the court awards them a deficiency judgement. If you are either continually defaulting on your mortgage payment, or have been living on the brink and are about to default for the first time, selling your house for cash could be a way out. The quicker you make the decision to sell your home for cash, the quicker you can put this all behind you. Contact us today and we’ll make you a cash offer so you can sell your home and avoid foreclosure.